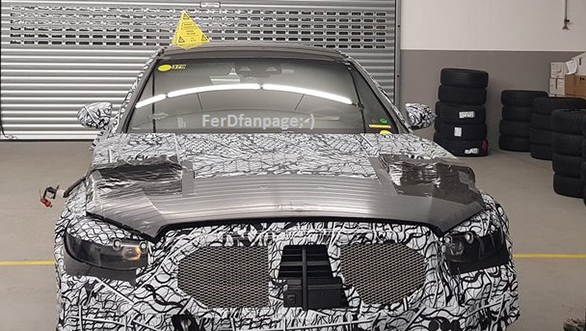 The new Mercedes Benz S-class has been spied ahead of its international launch. The executive sedan will be in its all new-iteration for the model year 2020. The upgrade inculcates a new platform, styling on the lines of the new family design language and revised mechanicals. 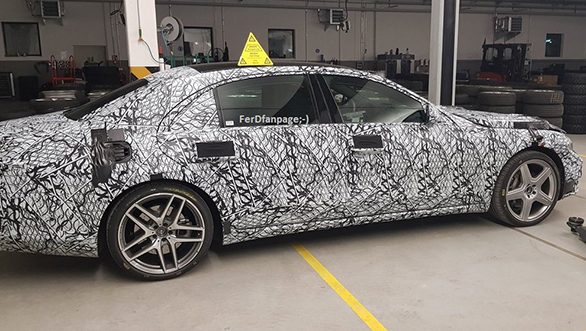 The updated sedan is likely to be showcased at the 2019 Frankfurt Motor Show that will be held in September this year. The new luxury sedan could carry a reworked fascia with a trapezoidal grille similar to the one seen on the youngest sibling, the 2019 Mercedes Benz A-class. The headlamp units are expected to be reworked with new LED elements. Along with the redesigned grill the car will sport new bumpers. The side silhouette will majorly be unchanged but a sharper, more pronounced waistline is expected. A similar treatment could be seen on the rear end of the car. The cabin is expected to be revamped for the model year 2020. An all-digital display is expected for the instrument cluster, also, a tabloid-like infotainment system equipped with Mercedes-Benz User Experience (MBUX) could take the centre stage. Targeted towards chauffer driven customers, the executive sedan will have plenty of creature comforts for the passengers in the rear seat. For the Indian market, the new Mercedes Benz will be offered in petrol as well as diesel variants, however, we believe a plug-in hybrid is in works too! Expect the 2020 Mercedes-Benz S-class to go on sale in the international markets by the end of 2019.The sedan could be launched in our market by early 2020 and will rival the BMW 7 Series, Audi A8 and Jaguar XJ. 2019 Mercedes Benz GLC Coupe unveiled  India bound?